HELP FUND CEREBUSTV! Thanks to our friends: Lee Thacker -- John Mosher -- Jaime Sierra -- Michael Ragiel -- Eddie Khanna -- Steven Blatchford -- M. Luchins -- Dave Philpott -- Margaret Liss -- Adam Richards -- +Nate+ Oberstein -- Timothy Webber -- Paul Cassenelli -- Paul Benincasa -- Donovan Howard -- Chad Lambert -- Larry Wooten -- Crystal Williams -- David Birdsong -- Eric Hoffman -- Menachim L. -- Greg Knock -- Kenny Rogers -- Bjoern Hausner -- Paul Thomas -- Richard Garrett -- Ashleigh Brown -- James Keefe -- Scott Kimbrough -- Jimmy Gownley -- Timothy Reynolds -- William Hoffknecht -- Allan Edwards -- Sir Stack -- Robin D. Rich -- Claude Flowers -- John M. Scrudder -- Leon Kendell -- Single Bound Studios -- Jeff Tundis -- The Hollow Oak -- Anon -- Rick Sharer -- Anon -- Silber Records -- Michael Battaglia -- Anon -- Michael Grabowski -- Rob Imes -- What Comics Entertainment -- Alkiviadis Vlachos -- Chris Crosby -- T.M. Camp -- James Kosmicki -- Daniel Lester -- Matt Baum -- Max Ink -- Larry Hart -- Ultraist Studios -- Ralph Mathieu -- John D. Young -- Jose Vazquez -- Lenny Cooper -- John Grigas -- Gabe Bear -- Gregory Shantz -- Brian Coppola -- Matthew Ingraham -- Rick Shiu -- Robert Gavila -- Chris Howard -- Michael Lustig -- Peter Anderson -- Eolake Stobblehouse -- Anon -- J Scott Stewart -- Andrew Phang -- Steven Peters -- Conrad Felber -- Ryan Johnson -- Kimmo Puhakka -- Rick Shiu -- Susan Dorne -- Johnathan Harlow -- John Guevin -- Jason Trimmer -- Xynapse -- Chris Howard -- Nolan Reese -- William Held -- Louis Valenti -- Brian O'Malley -- Michael Szabo -- Albert Moy -- Hal Hertenstein -- Rodney Brown -- Jad Greer -- Dagon James -- Jose Maria Vigo Ortegaslava -- Owen Dodd -- Ramus Johansen -- Brent Stratichuk -- Einar Erikson -- Please DONATE and get YOUR name on the Marquee! and receive a gift of one of these oversized Following Cerebus 11x17" cover prints the late Craig Miller provided in support of CerebusTV! 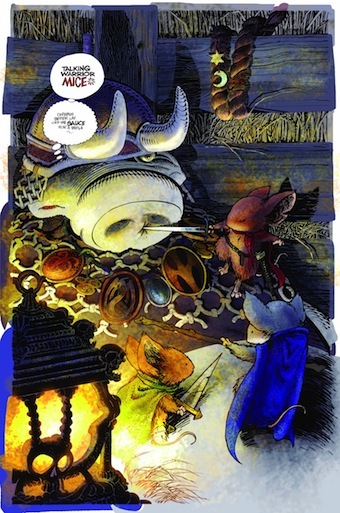 This is from the last issue Craig and Dave worked on, with the David Petersen/Dave Sim jam for the "All Dave" issue. 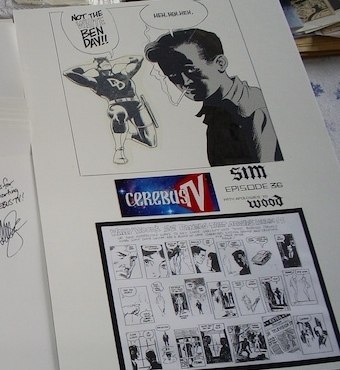 Please help support CerebusTV and get a personally signed DAVE SIM print! personally signed by DAVE SIM! This collector's item will only be available while supplies last!